"Awesome super fast payouts - within minutes!" 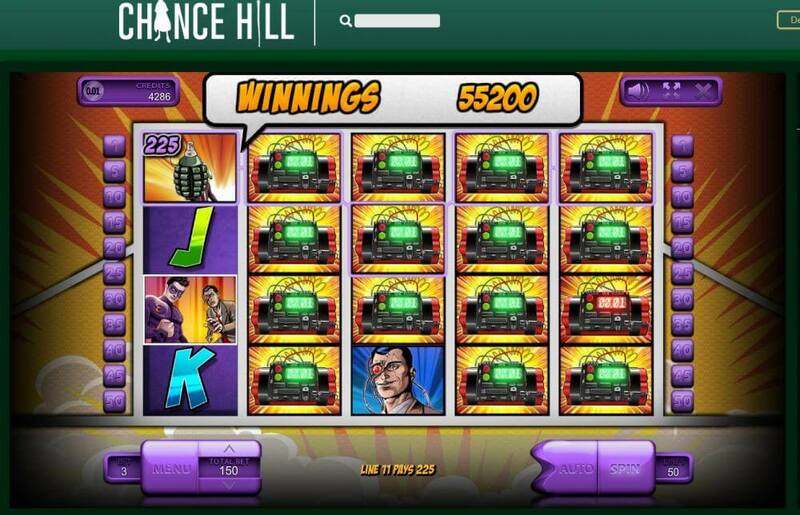 Chance Hill casino is a relatively new casino and seems to be well managed. They were accredited in November 2016 after a 120 day Baptism by Fire process. Everything was going fine – but then the casino was sold to another company which unfortunately disqualified them from being accredited at Casinomeister. So they were placed in the Grey Zone – but then the new owners re-baptized the casino in the BBF section, and they made it through – no problems. So they are now an Accredited Casino at Casinomeister – again. 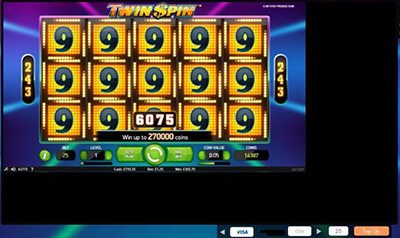 Their software package includes Aristocrat, Microgaming, NetEnt, Betsoft, Nyx Interactive, Play’n GO, Williams Interactive, Quickspin, Thunderkick, Genii, ELK, and Scientific Games Interactive. Their website is pretty easy to navigate, and you can use their search function to search for your favorite games. Signing up is easy – it took me a few minutes. You need a mobile for them to send you a SMS to authorize your account. If you are still living in the 1990’s and don’t have a mobile – then contact their support and they will square you away. Speaking of their support – they were exceptionally helpful and fast in their chat support. I mistakenly opted in to the sign up bonus, which I did not want, and they removed it upon request in about two seconds. Kudos to the chat rep.
What else is fast? Well their payouts sure are. I deposited 50 Euros, played a few games, and came out ahead and cashed out 150. I was still uploading my ID docs (which you can do in your account at your leisure), and the payment came through. We’re talking about three minutes – if not less. So that was pretty impressive. This was through Neteller by the way. I did not take a bonus. 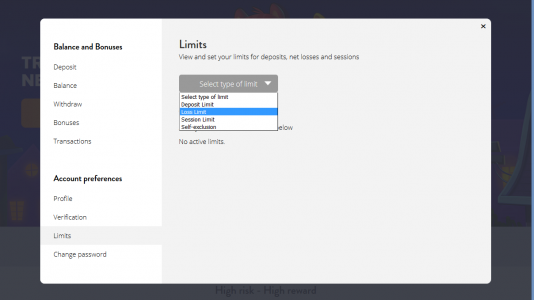 First time depositors cannot use a Neteller when accepting a bonus. That’s a bummer for some, but I personally couldn’t care less since I don’t take bonuses. Withdrawal limits are 5000 Euros per day. They offer weekend payouts, and they will flush your winnings upon request. This is pretty squared away.. 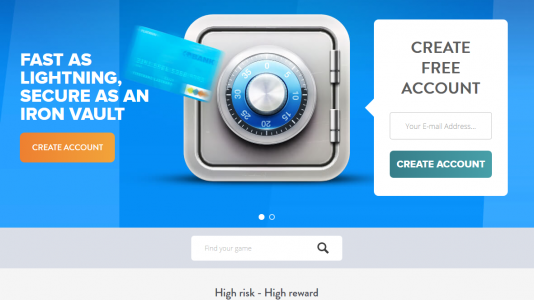 They are licensed in Malta and by the UK Gambling Commission. These guys seem to have it together. 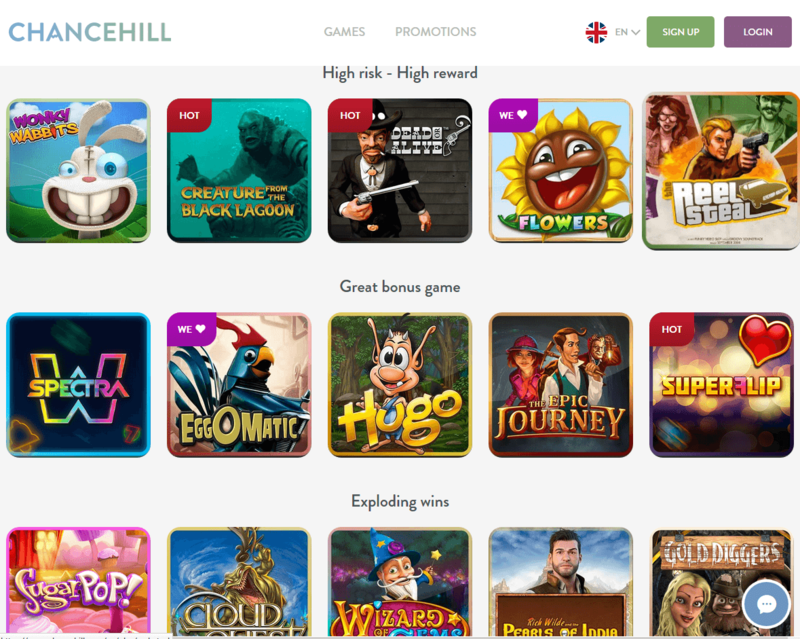 I think that players will really enjoy playing at Chance Hill – now an Accredited casino at Casinomeister. Chance Hill Casino was listed as an Accredited Casino here at Casinomeister for just a short time. They had gone through a rather successful Baptism By Fire (which lasted about 120 days), and came out strong with many kudos from our members. Then they changed hands to another company, MT Secure Trade (which also runs Instacasino), and is run from the iGamingCloud. 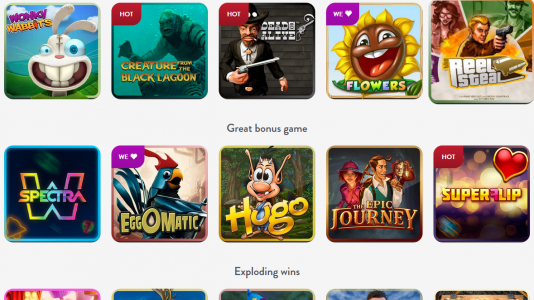 This is a platform that a number of casinos games from a multitude of providers. It’s pretty awesome. Since they changed hands, they had to go through the BBF one more time – which they did, and with flying colors. No problems. 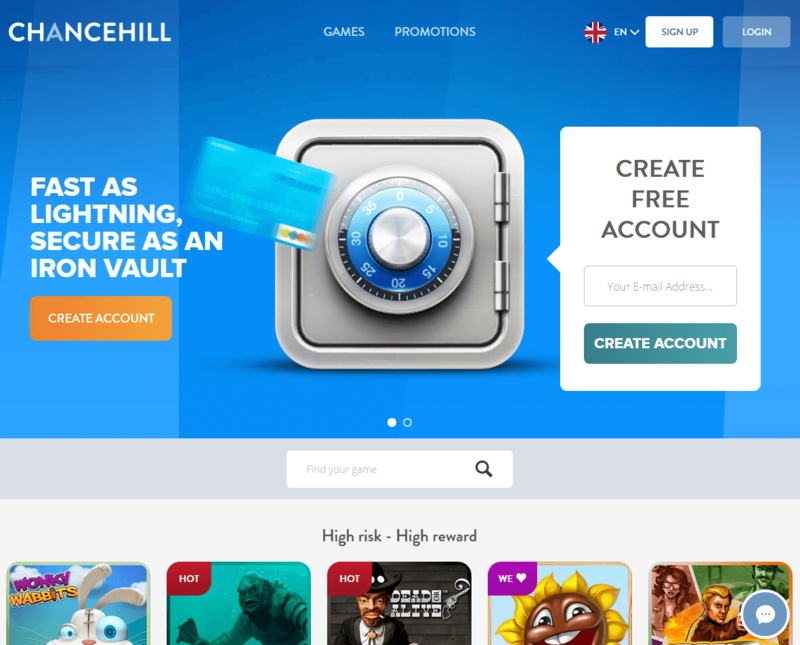 Chance Hill Casino is an online casino which requires no download – all of its games can be played in your browser whether it’s a desktop, tablet, or mobile. They are licensed in Malta and by the UKGC. The casino layout is very player friendly. It is pretty easy to search for your favorite game. Either by game type or feature and software provider – it’s a great way to find what you are looking for. Opening a real account is a cinch: It took me a matter of minutes before I was playing for real. As I mentioned in my video, you will need a mobile smart phone in or to verify your account. If you don’t have one, please contact their support and they will square you away. Player protection and verification: You are able to upload your KYC documents at your earliest convenience – they will require a government issues ID, proof of residence, and screenshot of your webwallet account or banking – whatever you are using to make deposits. As I mentioned above – you’ll need a phone that can receive an SMS. The payouts are extremely fast. And there is virtually no reverse time. They claim 3 hour payouts – but I experienced one in about three minutes. The have no withdrawal limits – and they process payouts on weekends. 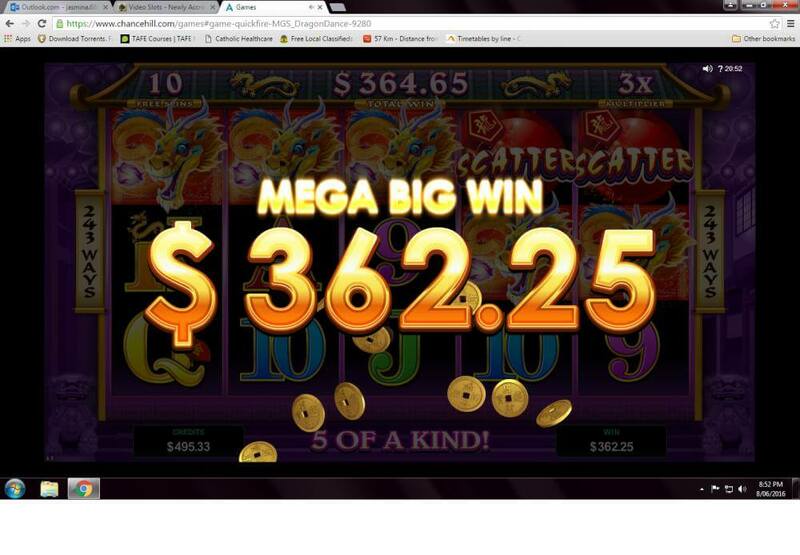 As I mentioned in my video, my first payout hit my Neteller account in minutes. I was still uploading my ID docs for verifying my account when my winnings were deposited in Neteller. Withdrawal limits are pretty good. One of the biggest complaints we get from players is the frustration of playing their winnings back. Good for the casino – bad for the players. 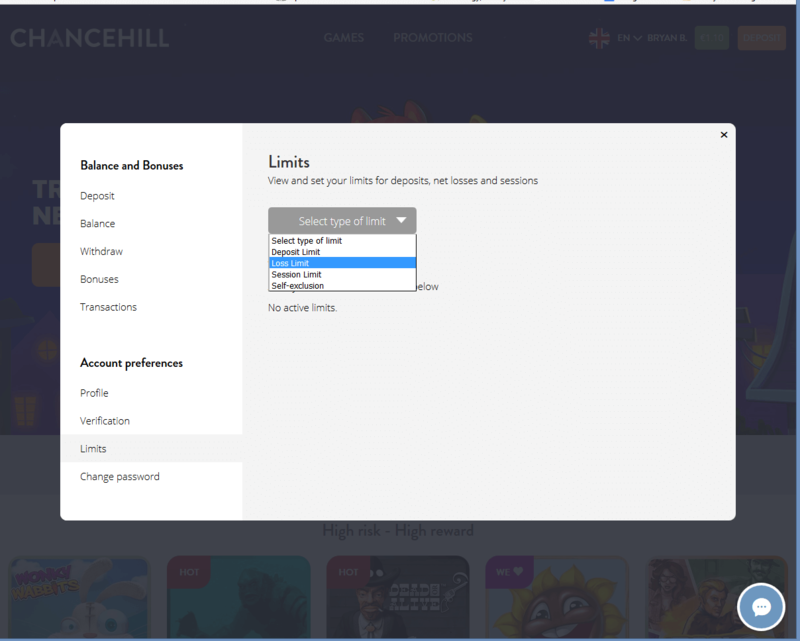 At Chance Hill, you can withdraw €5K per day so there isn’t too much to worry about. Winnings are processed on weekends, so again – this affects their review score. Fantastic array of games: Aristocrat, Microgaming, NetEnt, Betsoft, Nyx Interactive, Play’n GO, Williams Interactive, Quickspin, Thunderkick, Genii, ELK, and Scientific Games Interactive. So there is just about anything for everybody except of course proper video poker casino games. These you will only find on your downloadable Microgaming casinos. They have player safeguards in place so that you can set your deposit limits, loss limits, wagering limits, and session time limits. This can be found in your account settings. They support several languages: English, Norwegian, Swedish, Finnish and German- and support the following currencies: EUR, GBP, NOK, SEK, CAD, USD. The following data is provided by our awesome members – the Meister Minions. These guys and gals volunteer to collect payout times and other interesting and pertinent information on the casinos listed at Casinomeister. For more information on joining the Meister Minions, please check this out: How to become a Meister Minion. Chance Hill has the indicators of an award winning casino. It’s a bit too early to tell, but let’s hope they keep it together and continue to please players and remain innovative and properly managed. They are a player focused casino – and so far, so good.